The SSL SL 4000 G+ is a totally integrated single operator studio system, employing an advanced in-line format with extensive signal processing and routing facilities. Operational refinements include remote track arming, and a computer built on proprietary technology, providing tape transport control, together with comprehensive session management and sophisticated mix automation. A G+ system consists of two independent units: the SL4000 G+ console, and a 19” ‘rack’ containing the G Series Computer and dual floppy disk drive unit, together with the console and computer power supplies. At first sight, the G+ console may appear to be overwhelmingly complicated, due in part to the exceptionally flexible nature of its audio architecture. However, the opposite will soon found to be true as, in fact, the console is a highly intuitive, ergonomic and versatile tool. 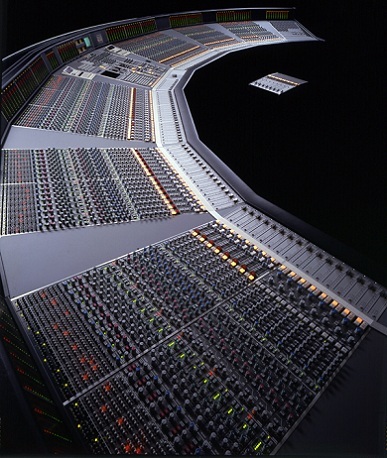 The G+ console has four main mix output busses, most commonly designated Left Front, Right Front, Left Back, and Right Back. This bus structure may be modified to provide Left, Centre, Right and Surround outputs (referred to as the ‘Film Panning’ option) for surround mixing applications. In non-surround mixing applications, the four output busses may be configured to deliver two entirely different mixes. 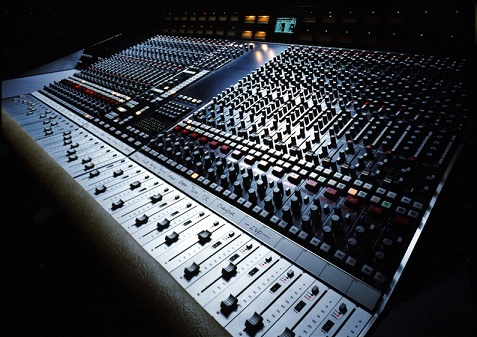 Monitor feeds are provided for one set of Main control room loudspeakers and two pairs of Mini speakers, directly supplied from the main bus output distribution. Adedicated Studio Loudspeaker feed is also provided. The console I/O modules are fitted as standard with moving-coil VU meters which may be selected to display the tape return, corresponding group/bus output, channel input signals, or fader/VCA levels. Main output metering can be selected from Desk Output, or External Source (or to simply Follow Monitor). The centre section is normally fitted with VU meters for the four main output busses, summed mono and phase, plus mechanical peak metering for left and right outputs. Furthermore, an audio phase-scope is also provided, connected in parallel with the left and right meters. VU metering is also supplied for each Cue/Auxiliary bus. Foundational text courtesy of Solid State Logic G Series Shortform Guide. Photos courtesy of Solid State Logic. 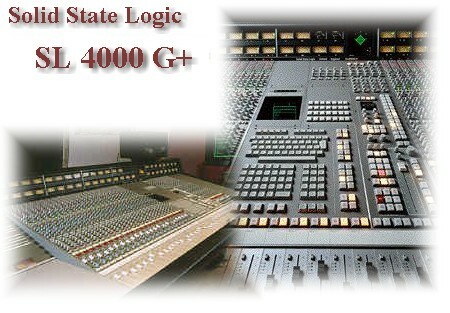 Do you have content, to add, about the Solid State Logic SL 4000 G+ Console or associated topics? Please feel free to Share it, here!